A playful take on an intimate side table. 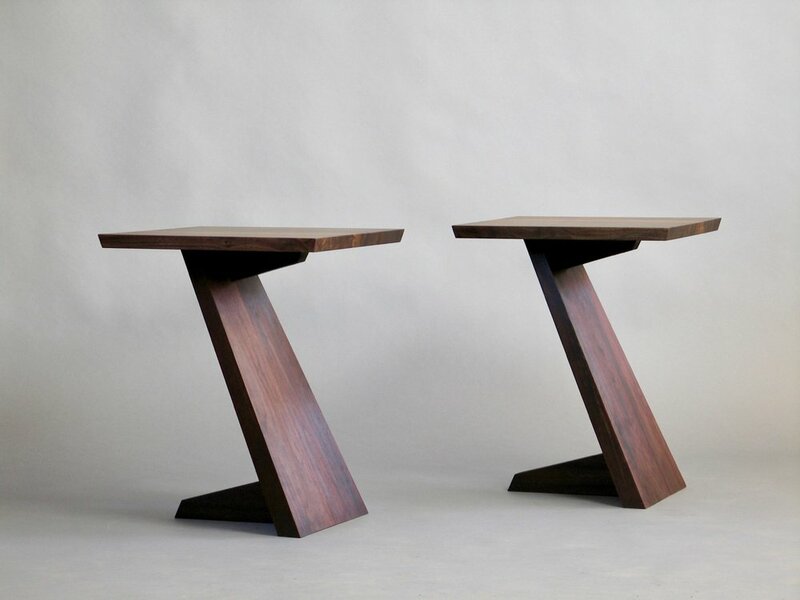 Tapered Peruvian walnut bases contrast with figured claro walnut tops creating a study of balanced movement and stability. Sold as a pair.